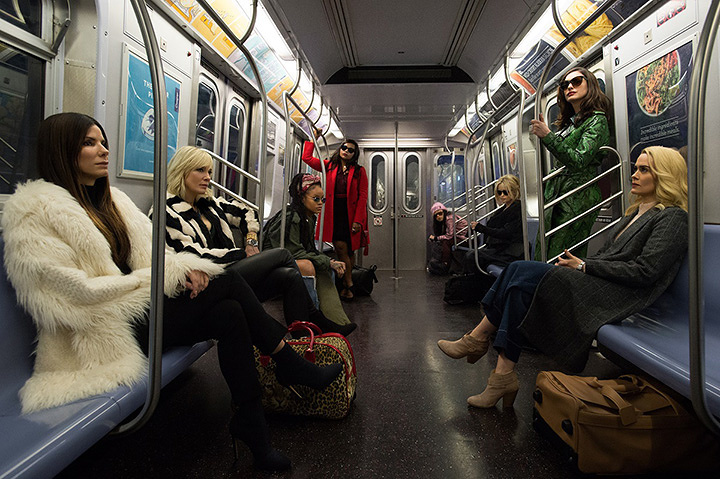 『オーシャンズ8』 Warner Bros. Pictures' and Village Roadshow Pictures' first look at "Ocean's 8" from one of New York City's most iconic locales: the subway. In Summer 2018, the tide will turn as (L-r) Debbie Ocean (SANDRA BULLOCK) attempts to pull off the heist of the century at New York City's star-studded annual Met Gala. 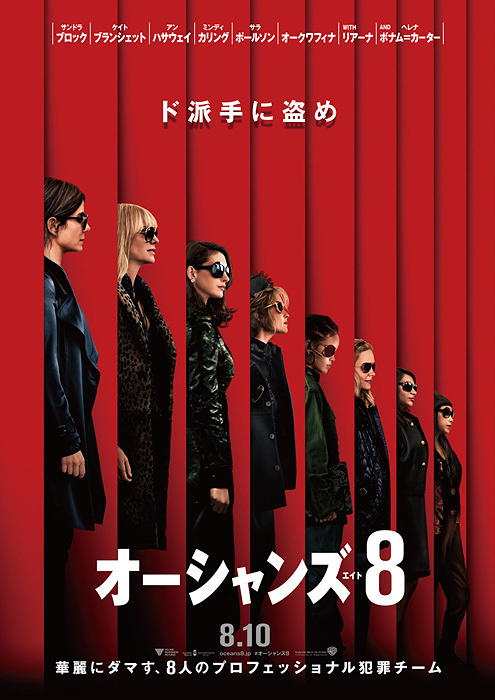 Her first stop is to assemble the perfect crew: Lou (CATE BLANCHETT); Nine Ball (RIHANNA); Amita (MINDY KALING); Constance (AWKWAFINA); Rose (HELENA BONHAM CARTER); Daphne Kluger (ANNE HATHAWAY); and Tammy (SARAH PAULSON).